On even more safari ? Visit all 5 microbreweries in the historical city of Düsseldorf and taste all their beers! 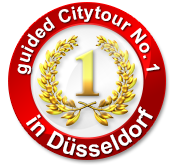 Enjoy real Düsseldorf beer culture and lifestyle with all your senses!